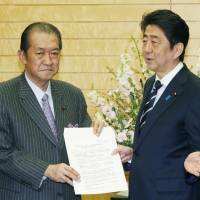 The death was announced Wednesday of veteran lawmaker and former internal affairs minister Kunio Hatoyama. He was 67. 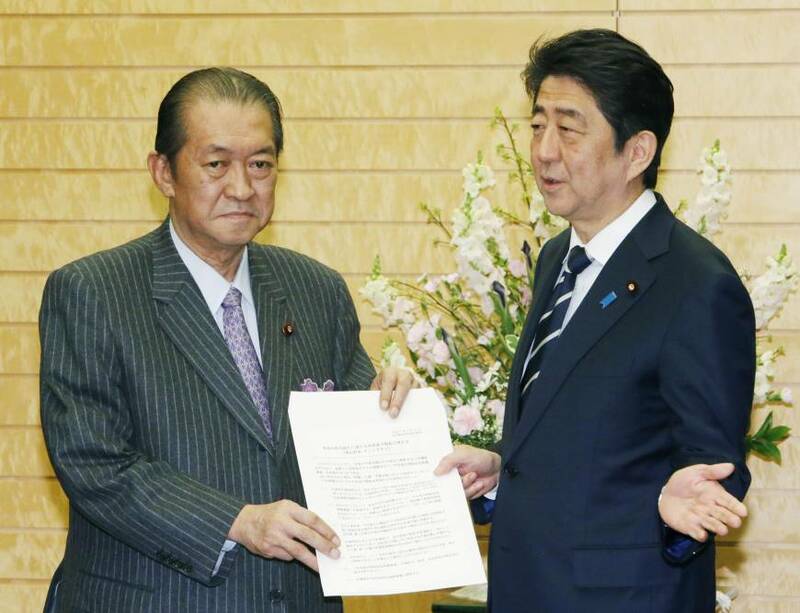 The younger brother of former Prime Minister Yukio Hatoyama hailed from a family studded with politicians. Hatoyama died of duodenal ulceration, according to media reports. In the last photo posted on Hatoyama’s Facebook page, dated May 17, he appeared to have lost a considerable amount of weight. His death was announced by his office in Kurume, Fukuoka Prefecture. Hatoyama was one of the co-founders of the now-defunct Democratic Party of Japan, which he helped to set up in 1996. The party ousted the Liberal Democratic Party from power in the Lower House election in 2009. He was born to a rich family with a strong presence in politics. His grandfather was the late Ichiro Hatoyama, who was prime minister in 1954 and 1955 and the first president of the LDP, and his father was the late Foreign Minister Iichiro Hatoyama. Hatoyama’s mother was the late Yasuko Hatoyama, the eldest daughter of Shojiro Ishibashi, the founder of tire giant Bridgestone Corp.
Yasuko, who died in 2013, reportedly gave her son huge funds and thereby helped to create the DPJ. The DPJ was renamed the Democratic Party in March. Hatoyama left the LDP in 1993 and co-founded the DPJ in 1996. He then abandoned the new party and returned to the LDP in 2000. A graduate of the University of Tokyo in 1971, Hatoyama served as secretary to then-Prime Minister Kakuei Tanaka. In 1976 he first won election to the Lower House, on an LDP ticket. “I was very surprised to hear the news of the death of my brother Kunio,” Yukio Hatoyama said in a statement to media outlets later in the day. Yukio said the last time he contacted his brother was about two weeks ago, asking if he was interested in running for the planned Tokyo gubernatorial election on July 31. Kunio told him “Not for now,” according to his brother. “Now I wish my brother, who devoted the whole of himself to politics, will rest in peace, freed from responsibility in politics,” he said. In 2009, Kunio Hatoyama, who was then justice minister, found himself in hot water after telling reporters he had an acquaintance who was a “friend” of an al-Qaida terrorist who bombed a nightclub in Bali, Indonesia, in October 2002. “A friend of a friend of mine is a member of al-Qaida,” Hatoyama told reporters during an appearance at the Foreign Correspondents’ Club of Japan in Tokyo. He added that the bomber, who had earlier warned his friend to avoid Bali, was suspected of repeatedly entering Japan in the following years. Hatoyama was an enthusiastic cook, and was also known as a collector of rare butterflies.